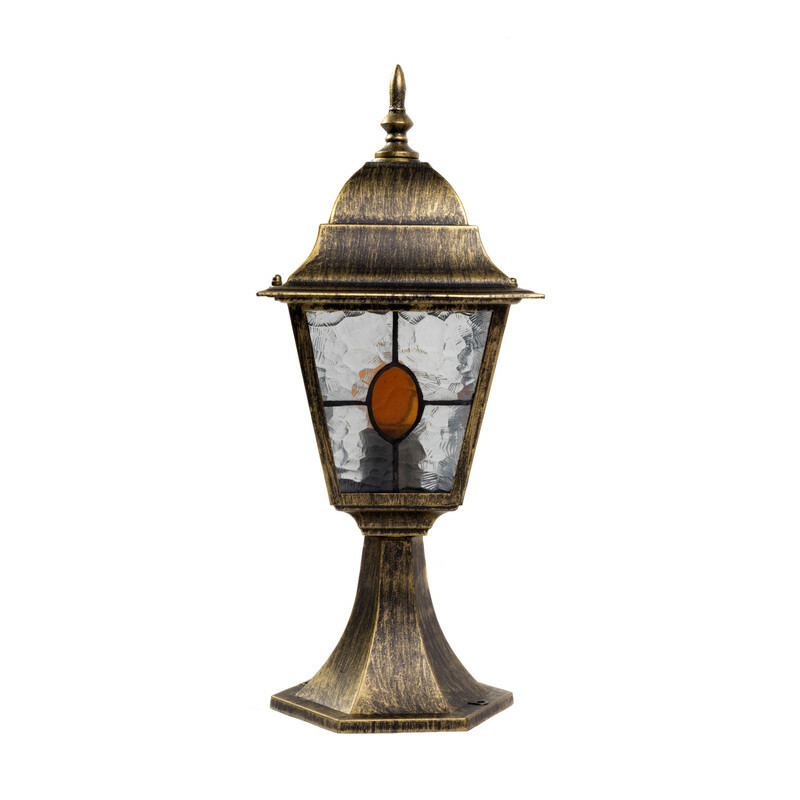 4 sided aluminium pedestal. IP44 rated. Leaded glass panel shades. Suitable for low energy lamps. LWH: 183 x 183 x 450mm. 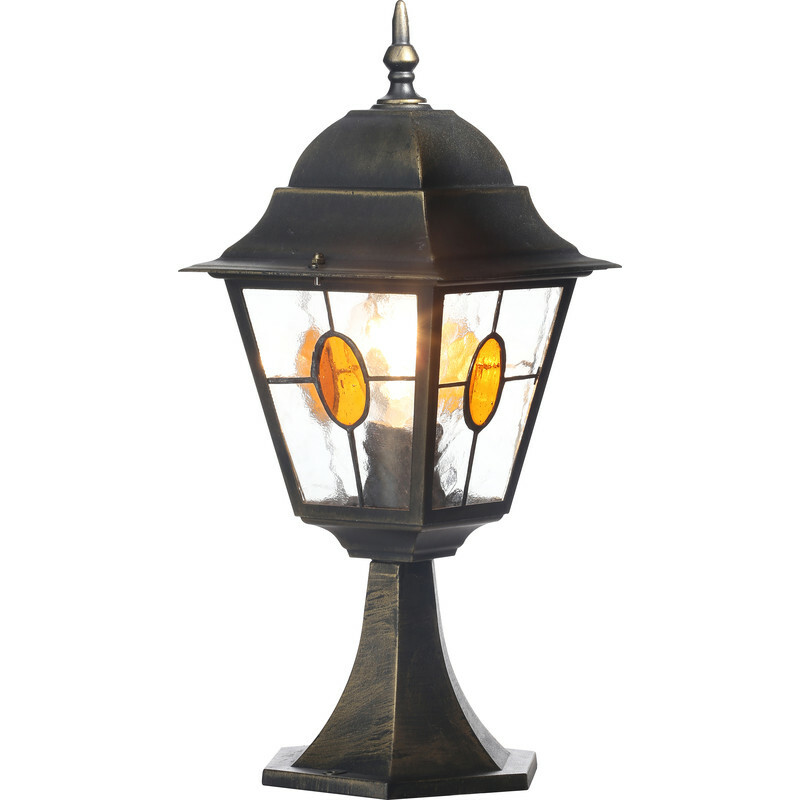 Requires 42W max ES lamp not supplied. 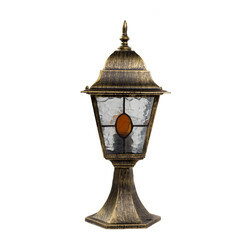 This luminaire is compatible with bulbs of the energy classes A++ to E.
Kent Outdoor Pedestal Light Black & Gold Effect is rated 4.5 out of 5 by 2. 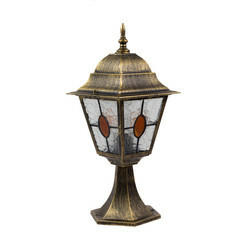 Rated 5 out of 5 by MCee from Great value I bought three of these lamps - excellent value for the money and good quality.